Tonight on Perspectives: What does religious freedom look like? The media have been turning our eyes to Egypt throughout these past few weeks. We have seen fiery images of shouting mobs, people climbing tanks and angry demonstrating. Just one month before all of this started, we heard about a bombing in Alexandria, the nation’s second largest city. The target? A Coptic (Christian) Church. Up until this week, there was a comfortable distance between Egypt’s woes and I. Then I met Fr. 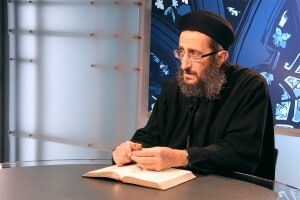 Angelos Saad, the chair of the Canadian Coptic Centre and pastor of the Church of the Virgin Mary and St. Athanasius in Mississauga, Ontario. I recall a slight feeling of anxiety at the discovery of Fr. Angelos’ quiet disposition. In the time he came in the door, made his way to the chapel for a short bout of devout prayer and then entered to the studio, and climbed the stool to his place at the table, he had barely uttered three words. 'Uh oh,' I thought. 'Will we get an interview out of this?' Boy, was I wrong. The quiet and humble man sat at the table and instantly made the suffering of his people--our people--real for us. Life for Fr. Angelos is very simple: hold fast to the Cross (like he did throughout the duration of his interview--literally) and love God with all your heart. I remember thinking how incongruent this scene was: we are filming an interview for television and his people are fearful for the political future of their country and what it will mean for Christians. Join host Pedro-Guevara Mann this week as he and Fr. Hegomen Angelos Saad discuss the beauty of the Coptic Orthodox faith and the delicacy required in daily life as a Christian in the Middle East.